Hook...Hook...Hook!!!!! 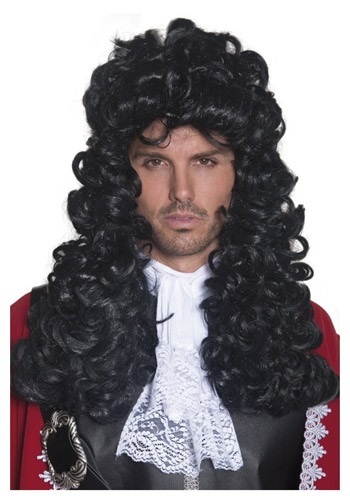 The other pirates will scream your name once you're in a Captain Pirate Wig. In this get up, the only man who would look as good as you is Dustin Hoffman. He's kind of corned that market! 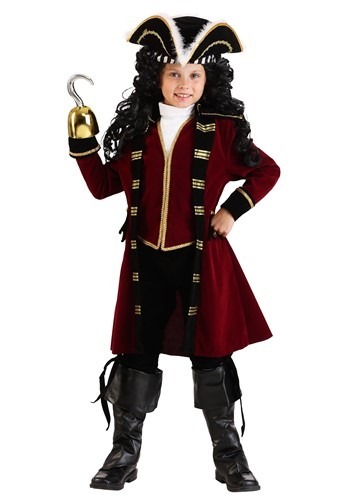 Chase down Peter Pan in Neverland in this Child Captain Hook Costume! The ensemble includes jacket, cropped pants and dickey. 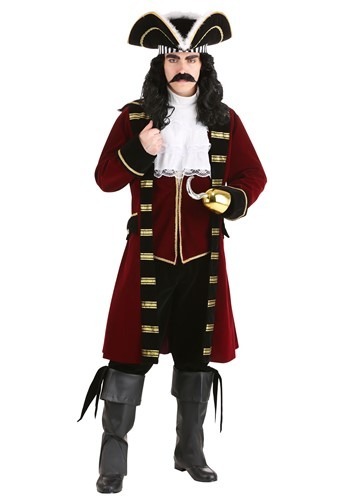 Add a pirate hook, hat, boots or boot tops, white knee-high socks, and a weapon and spyglass. Smee awaits your orders! Ok, we admit your child is probably a little young to be leading a band of sea scum pirating across the Caribbean. 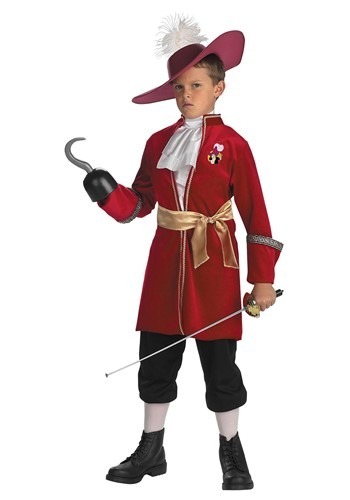 But if you think that might be in their future, it would not be a bad idea to make them a Pirate Captain in-training with this costume. Check out one of our pirate hook accessories so they can look the part AND keep their hand! just because you're evil doesn't mean you can't also be beautiful!. This Deluxe Evil Queen Costume lets you be both at the same time. This exquisite outfit has elaborate trims on rich-looking fabrics that are truly fit for a queen--even if she is evil. Throughout the history of fairy tales, stepmothers have a tendency of being very, very mean and jealous. In this Evil Queen Costume, you can still be as mean as you want, but you won't have to worry about being the jealous one. This time around, leave those feelings of jealous to Snow White. 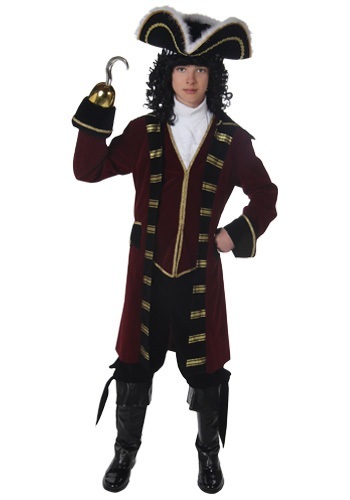 The only thing you need to watch out for in this Teen Captain Hook Costume is a ticking off a crocodile--and maybe a flying boy who refuses to grow up. Other than that, enjoy a night of spreading fear and leading your gang of unruly pirates. Oh, and let's not forget pillaging and plundering for that candy! They say that life under the sea is better. Now I believe it too. You'll have no problem reigning under the sea with King Titan at your side in this Womens Disney Plus Ursula Costume. There's no way you won't win over Prince Eric's heart this time. With this Womens Disney Ursula Costume, he's sure to forget all about Ariel. Plus, I'm sure you've got a few magical tricks up your sleeve to help if you need them.